The grey color is a neutral color and generally regarded as indifferent and conservative. However, for home interior if you are creative enough, you can find a way to make color grey positively unique and interesting when applied in your home as a color theme. Color grey has a potential for transforming your home interior into sophisticated and modern looks. As seen on our featured photo, the grey color roller shades theme is quite easy on the eyes and projects calmness and relax mood for the room. 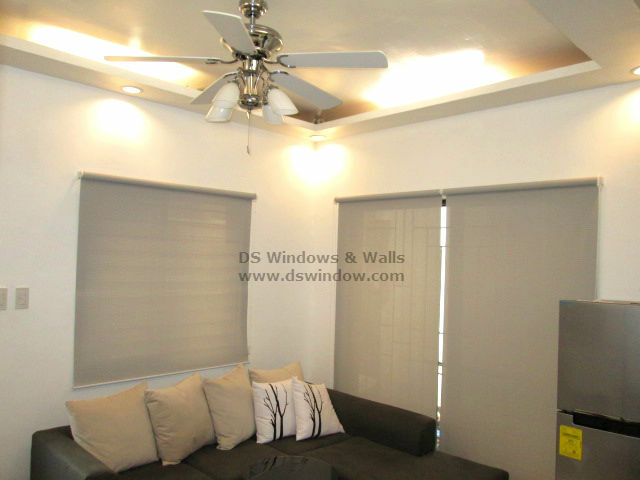 One of our customer from La Vista, Quezon City opted for grey roller shades to match with their sofa and other appliances. They also selected grey color for their roller shades to give contrast into their white wall to make their living room look modern. It was also paired with the color beige and printed throw pillow to make their living room more attractive. Aside from the beauty that roller blinds can give it also brought many benefits in every home owner. One thing is it blocks the unwanted light that was coming from the outside. The degree of blockage of light depends on the fabric openness and thickness. It could also provide you with greater privacy, especially at night. Roller shades also serve as a UV protection to avoid color fading of your furniture and other materials during daylight. DS Windows and Walls Interior Supply offer inexpensive roller shades with timeless designs, fabrics and textures that will fit in your budget. 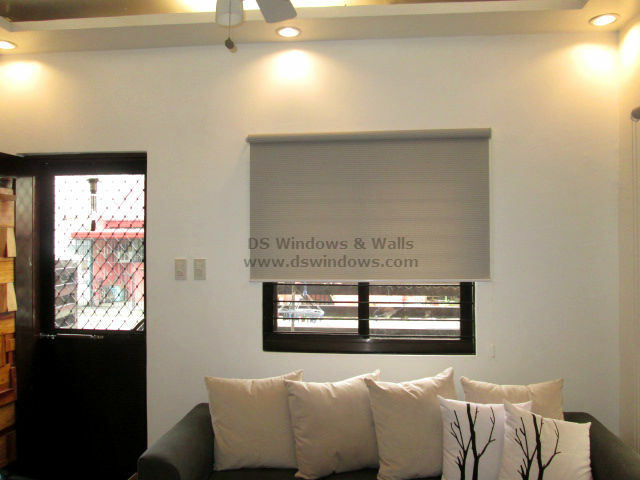 To check out our samples and swatches of roller shades you may visit our shop located at 2nd level Pacific Mall, Lucena City, 3rd level Robinson Metro East Pasig City and 4th level Waltermart, Makati City. 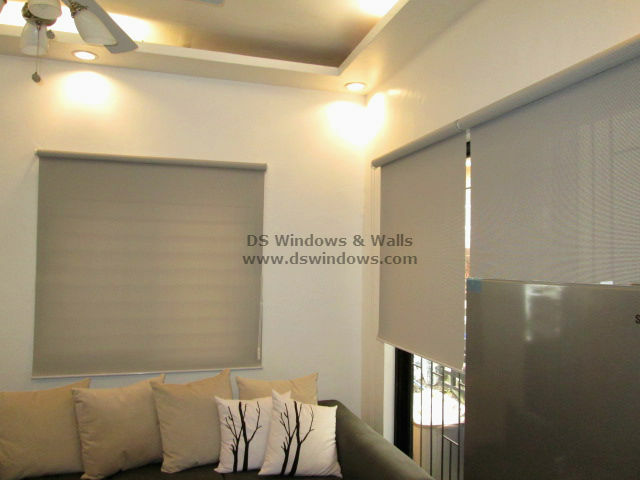 For free rough quotation you may email us at inquiry@dswindows.com or visit our webstore at http://www.angryblinds.com.ph. DS Windows and Walls also offers FREE site visit for measurement within Metro Manila for more information you may call us at (02) 403-3262 ; (02) 668 – 9668 ; (02) 893 – 1373 and 0916 – 311 – 3909. DS Windows and Walls is a service-oriented company ready to serve you anytime. With our more than 10 yrs experience, success and quality service are guaranteed. We install at residences, buildings, offices, hospitals and other commercial and residential establishments. DS Windows and Walls is a supplier of Window Blinds, Vertical Blinds, Roller Blinds, Venetian Blinds, Durawood Blinds, Carpet, Carpet Tiles, Wallpaper, PVC Folding Doors.